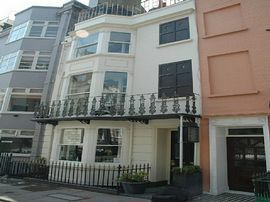 A completely renovated boutique guest house, with seven en-suite bedrooms, in a quiet street with the Brighton seafront at one end - right by Sea Life and just yards away from the pier - and the shopping area at the other; ideally positioned for shopping, beach, eating out, daytime entertainment and nightlife. We take great pride in our accommodation, providing both superior and standard double rooms, all decorated and furnished in a tasteful, modern style with great attention to detail. Take a look at our photo gallery or Rooms and Facilities pageson our website, to find out more about us - you'll also find useful links to local restaurants, bars and nightclubs on our 'Fab Brighton' pages. 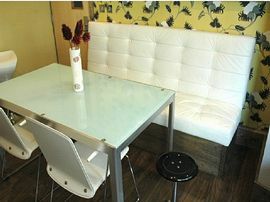 Business facilities including, free WiFi and fax, photocopy and printing are also available. Check out is by 11am and we have car parking vouchers available from £5.00. We look forward to you visiting us soon. 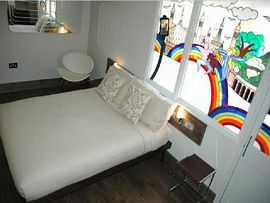 £40.00 - £45.00 for a double room including buffet breakfast. "Absolutely fabulous! 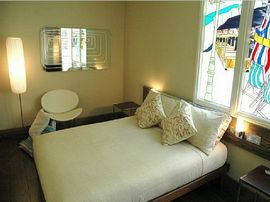 Really enoyed the stay, luxurious and stylish."